With just over 2,700 miles driven, 91 different bird species seen, and with 4 of them being life birds, I’d have to say it certainly was a whirl-wind vacation. And with all good things, it must come to and end and reality rears it’s ugly head in the form up going back to work and all the stress that goes along with it. However I am glad to be home and sleeping in my own bed and not eating in restaurants every night. Like I said it was a whirl-wind vacation where we visited family, friends, and places we’ve never seen before. And being a type of vacation where we’re not in one location for more than a few days at a time, birding proved to be a challenge. Knowing ahead of time where we were staying helped with locating the best places to bird watch, so planning ahead was really important. Making phone calls and studying web sites proved to be the biggest help. Our first day of driving was going to be the longest as we drove south to Hattiesburg Mississippi. My 95 year old aunt and uncle live there plus a couple of cousins, so even though it was an exhausting drive I picked up some quality birds. 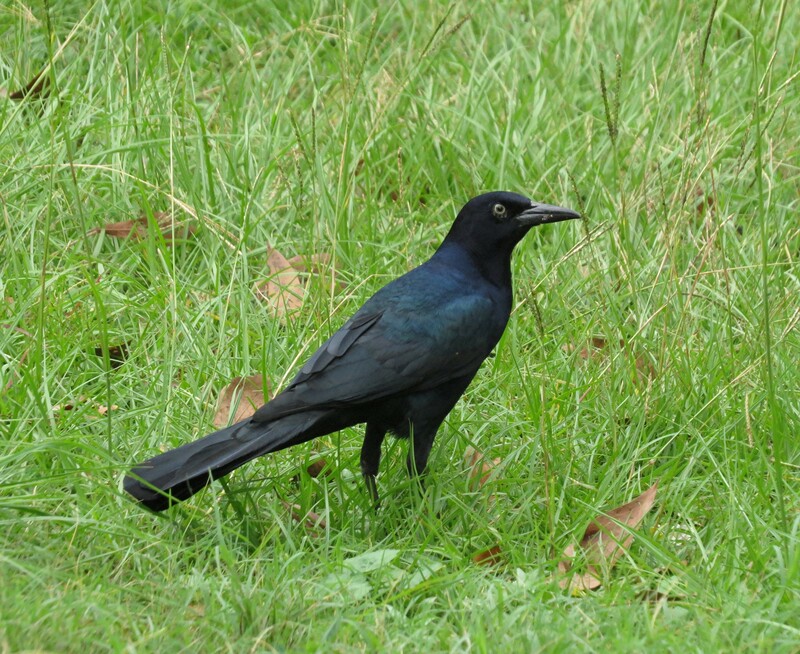 Boat-tailed Grackles were particularly common as they scavenged the rest stops throughout the south. 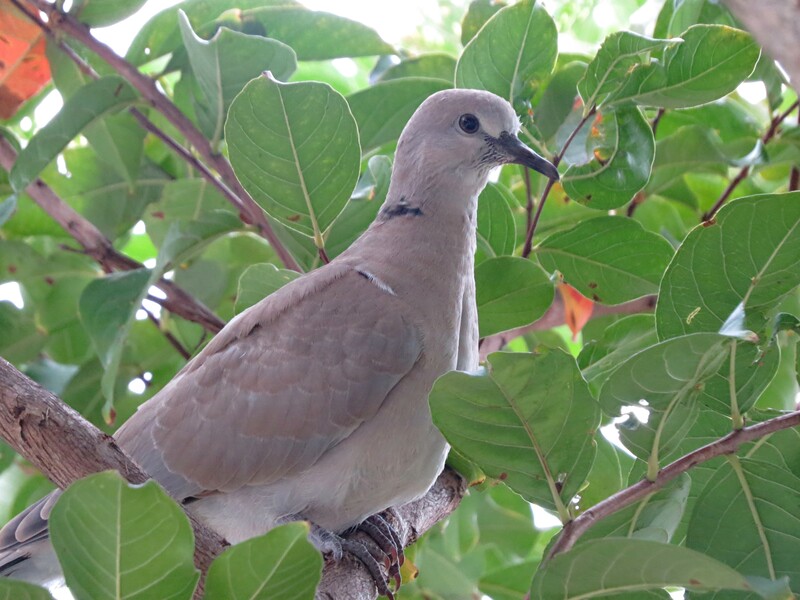 Being a rarity in the north, down south the Eurasian-collared Dove was quite common, especially along the Gulf Coast. and Common Ground Dove, which I found at the Ft. Walton land fill north of town. 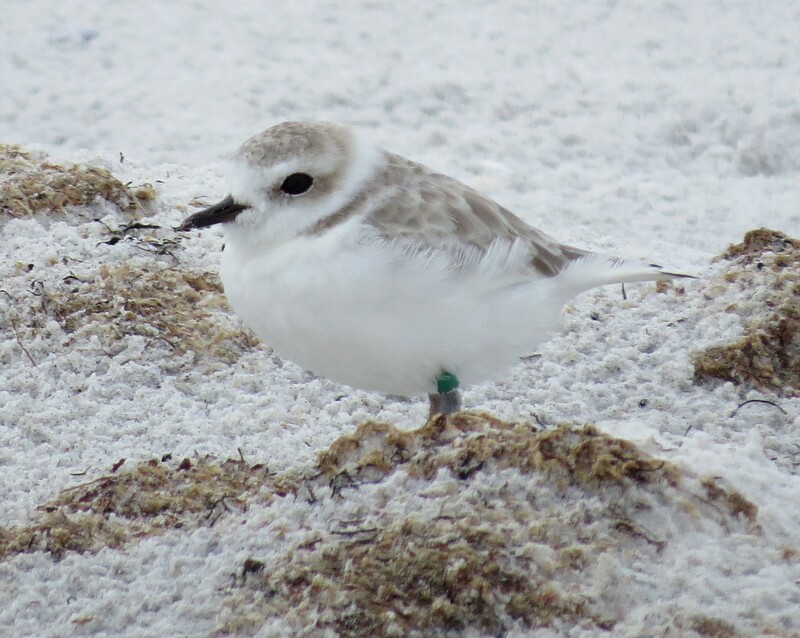 The location of the Snowy Plovers was furnished to me by a contact through the local chapter of the Audubon Society. The bridge leading west out of Destin onto Okaloosa Island has a parking lot right where the bridge ends. She told me to walk the beach and keep my eyes open. 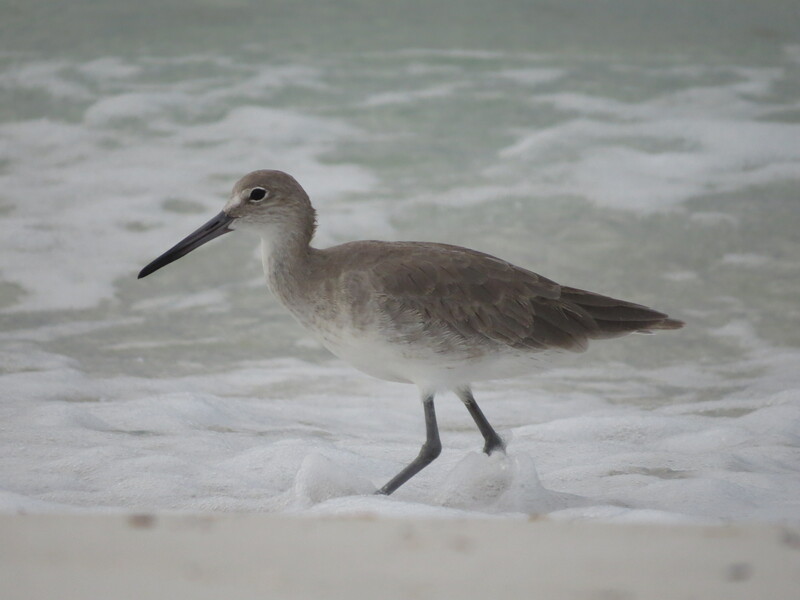 A Willet in the surf. As I made my way around the edge this is the scenery I was confronted with. 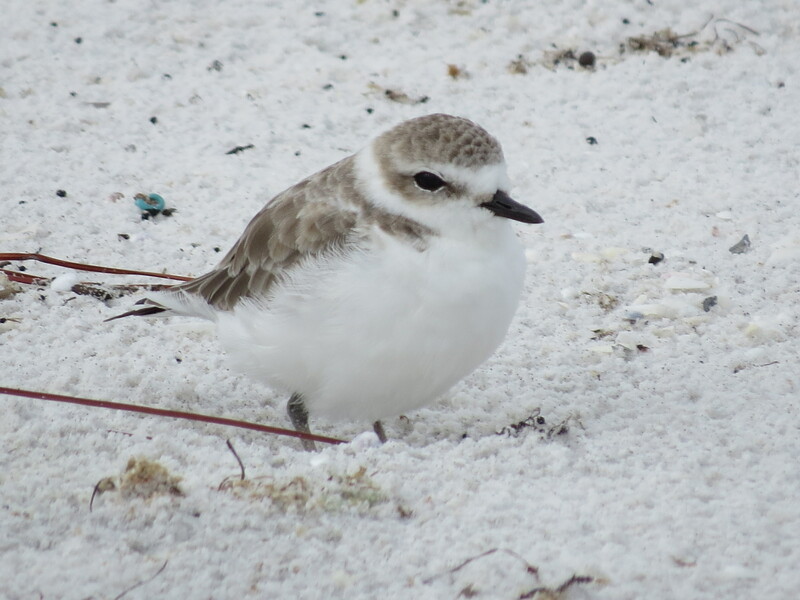 Since the Snowy Plover breeds here, it’s off limits to all and is roped off to keep people out. 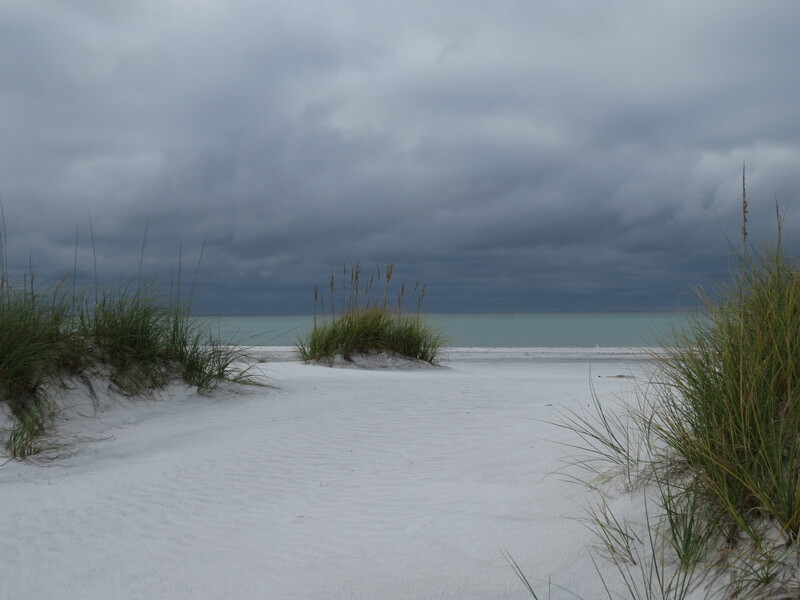 Except for the waters edge, it was nothing but sand and scrubby grasses. As I passed my way through to the ocean, I really started to pay attention to where I was walking. Except for a few people fishing back by the parking lot, I had this whole area to myself. As I moved about the beach looking for Snowies, something moved. 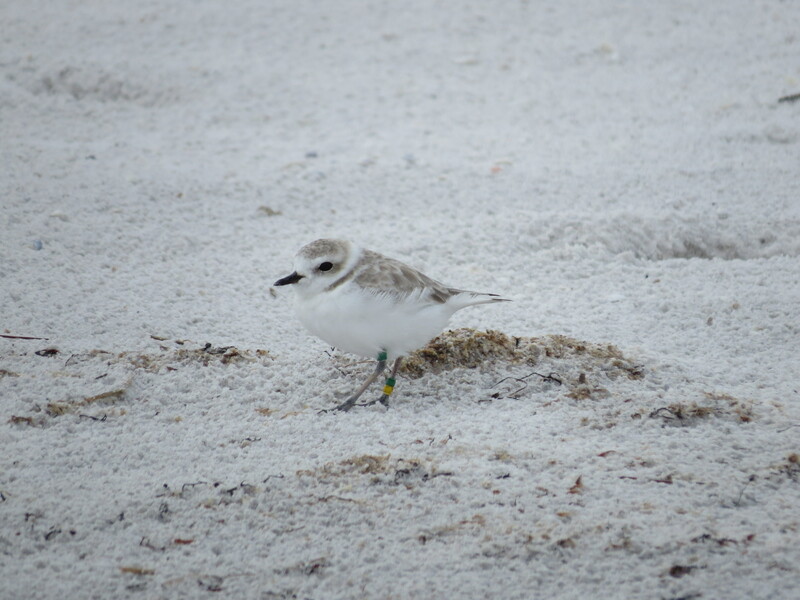 Notice that this particular bird is banded. 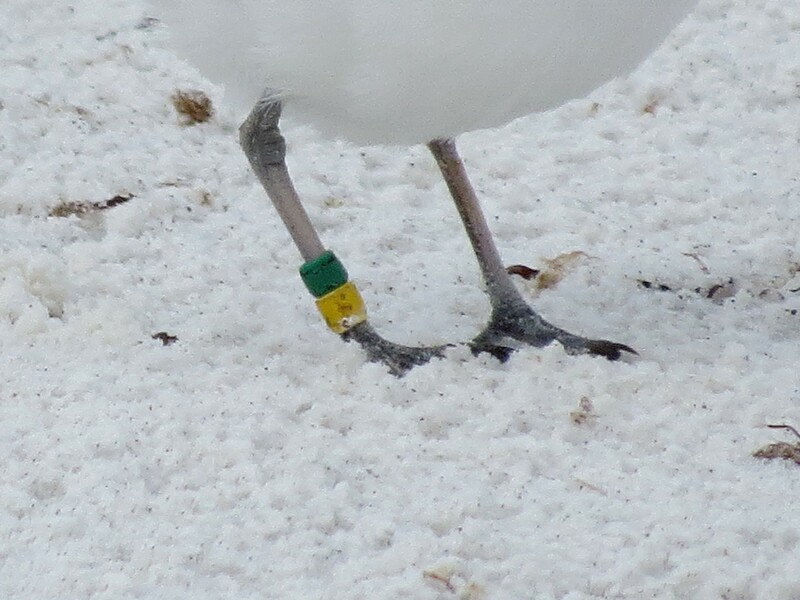 A closer looks at the bands they use. Knowing how threatened these birds are I didn’t want to keep following them, so I took as many pictures as I could, then I left with another bird ticked off my life list. After leaving Destin we made our way to Chipley Florida, which is 45 minutes north of Panama City. It was here Kathy’s cousin lived, and our next stop for a couple more days. So the morning of our first full day I drove the 45 minutes to St. Andrews State Park. 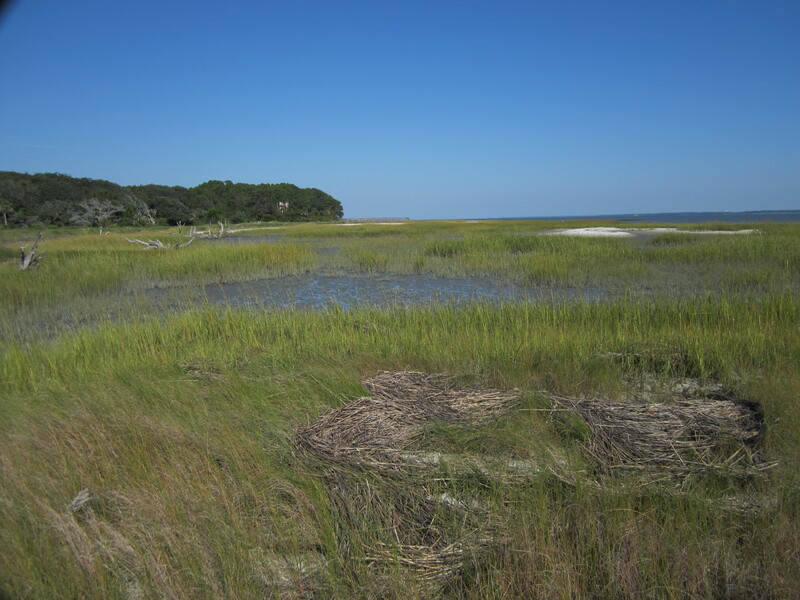 A view of one of the larger marshes at the park. 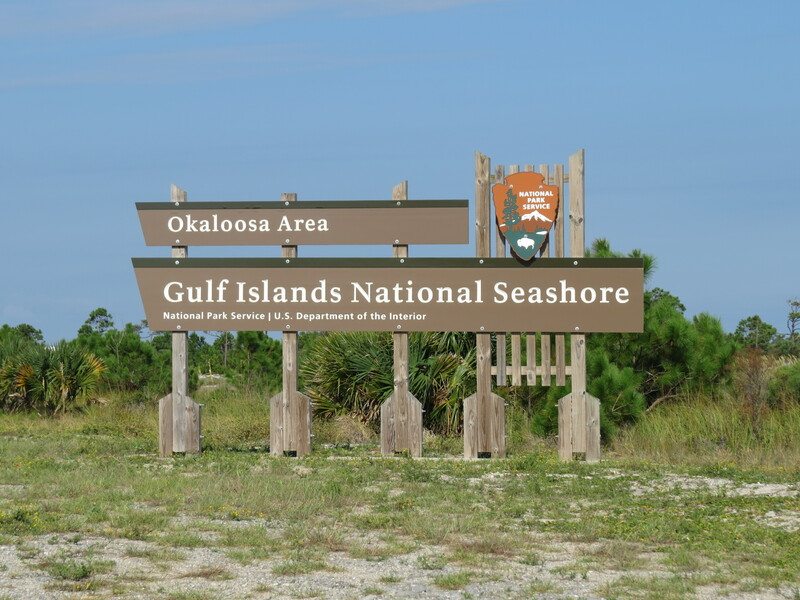 One thing I noticed about the state parks in Florida that differ from state parks in Ohio, you have to pay to enter. Trails through the park were well marked and maintained. Low trees and scrubs held a nice diversity of birds, particularly migrating warblers. After our stay in Chipley was over it was onto our next stop, Hilton Head and one of my favorite places to bird, Fish Haul Creek Park. 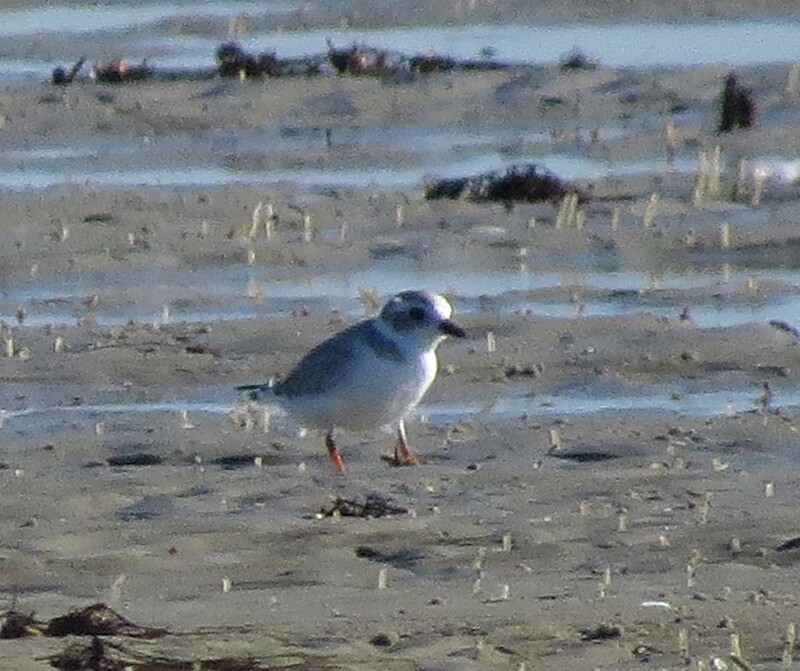 And as was the case on previous visits, as was now, the Piping Plovers were here. The pictures were terrible, so I apologize. The day was beautiful when I took these pictures, so why are they so bad? The sun was at a bad angle, and it was real windy, which made holding the camera still difficult while using the digital zoom on the camera. They are so small, and far away getting a good shot is difficult. It was here that I got a hot tip about a good location for Red-cockaded Woodpeckers just an hour away. As much as I wanted to stay here, I wasn’t about to pass up an opportunity like this. 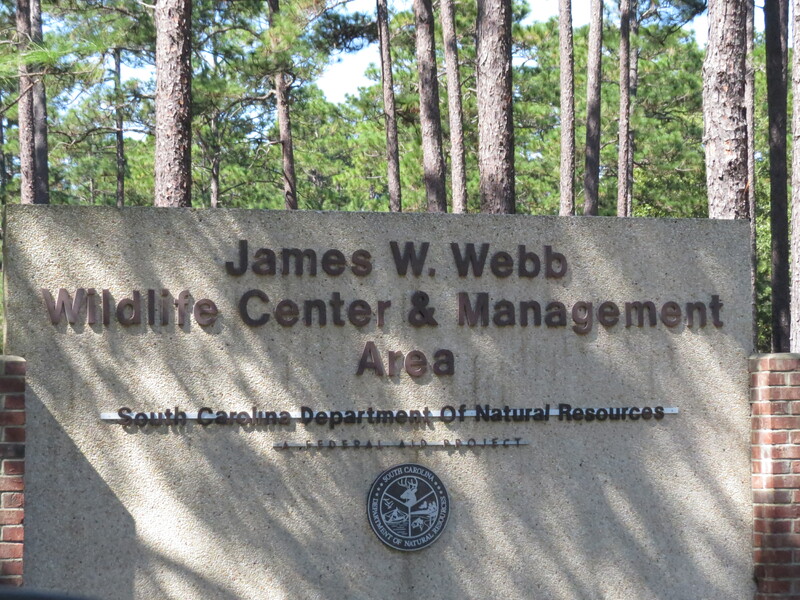 So i packed it up and drove they hour or so to Webb Wildlife Management Area in Garnet South Carolina. The drive as you pulled in a long, gravel road with mature stands of pines with scrubby undergrowth. Perfect Red-cockaded habitat! Plus the nesting trees had white bands around the tree so you can identify them. 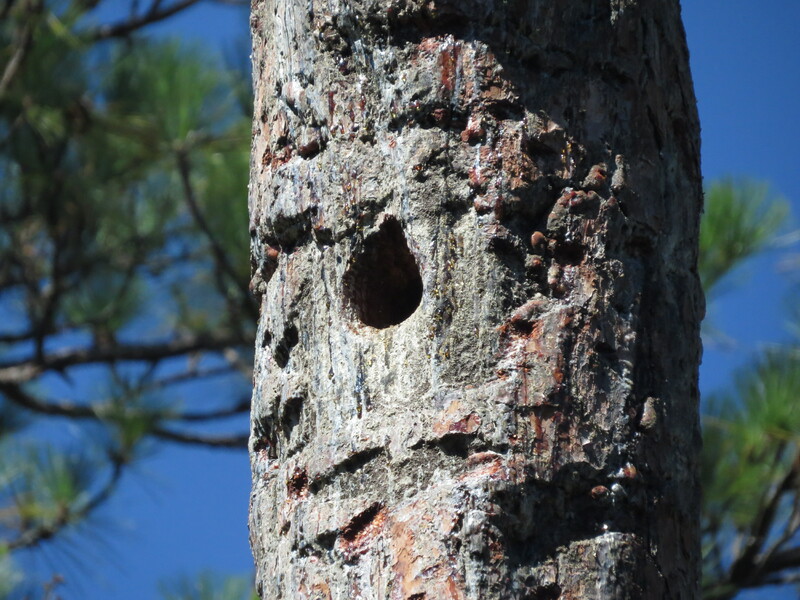 All you had to do is find a tree, and look for the nesting hole, which is usually covered on the outside with sap. 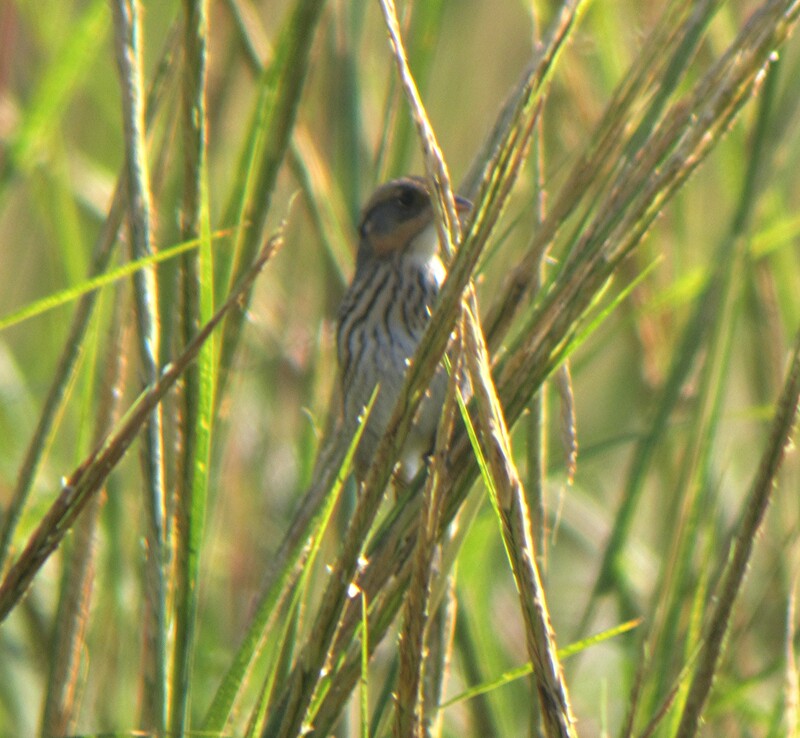 Unfortunately it’s not nesting time, and the couple of hours spent along the road looking for them was in vain, except for the completely by surprise Bachman’s Sparrow that came into view. About as secretive as they come, I was able to “piss” this out into the open long enough for a good ID. Now you would think finding yet another life bird I would be satisfied. No, I wanted to see this woodpecker. So I parked the car and made my way down a sand road that criss-crosses the wildlife area. It was along this road where I’d walk 20 yards and stop and scan. walk another 20 yards and repeat. Over and over again. Then I spooked a woodpecker off a tree. Flying away from me with black nap and tail, and a ladder back, about the size of a Hairy Woodpecker was my Red-cockaded Woodpecker. Time for the Happy Dance! Life was good. 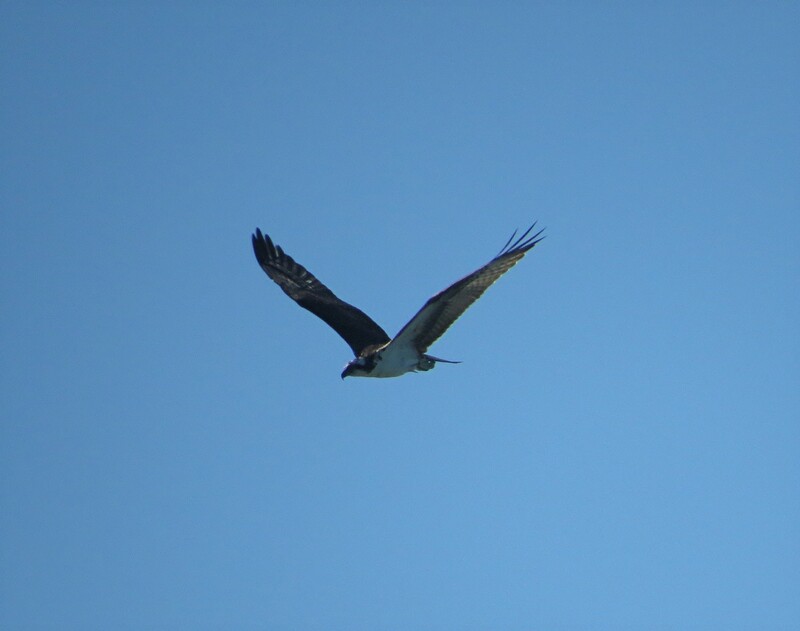 and a lone Osprey hunted overhead. 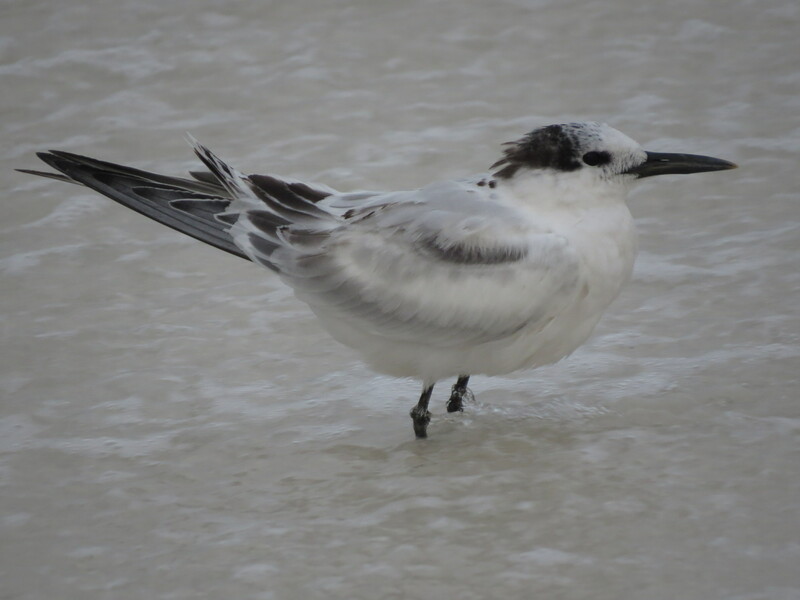 However sometimes when you least expect it a really nice bird presents itself at the most unusual of times. 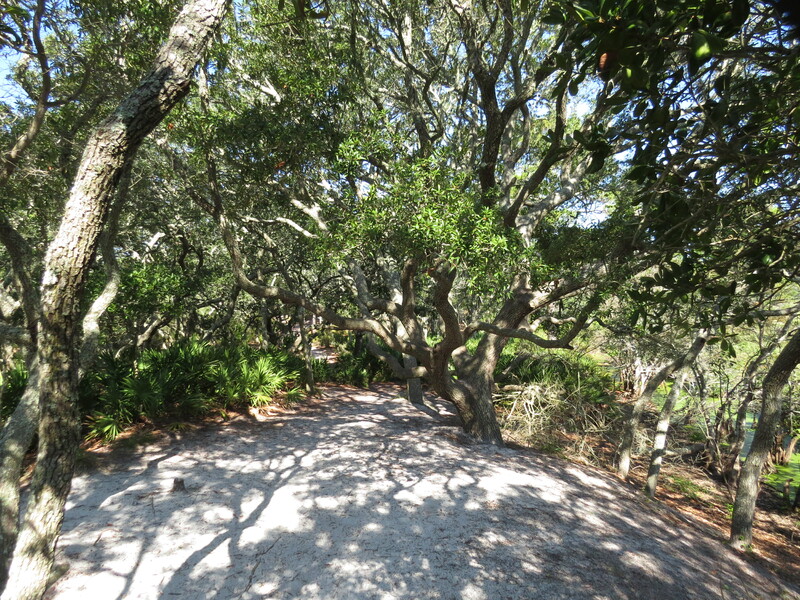 We were shopping and just outside the store was a Palmetto Tree, where a Brown-headed Nuthatch flew into. Having my camera at the time, which is surprise in unto itself, I snapped several pictures of this southern specialty. 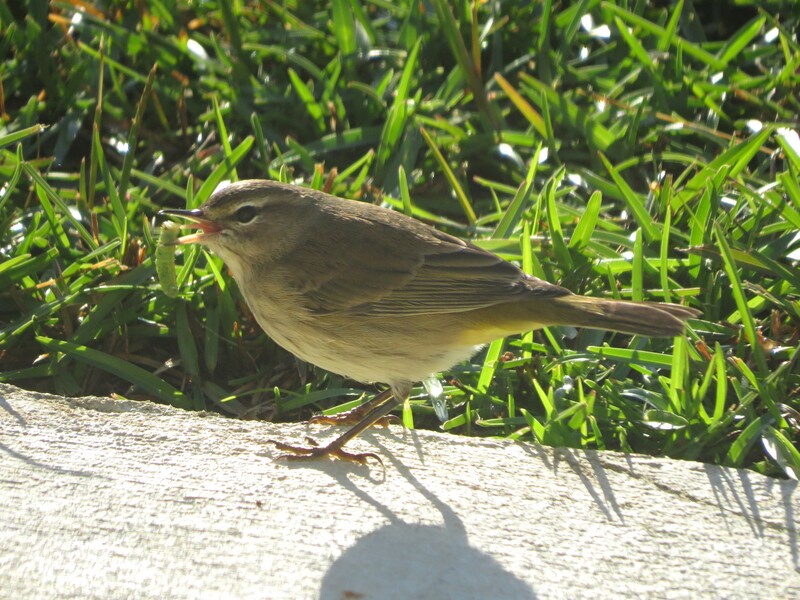 The house we were staying at had a patio, where in the morning several palm Warblers were grabbing up all the worms. But before this trip was over we had just one more stops to make. And boy was it worth every penny and then some. As with all good things this vacation must come to an end. It was an excellent time overall with some great birding, and the weather couldn’t have been more perfect. Even in the Smokey Mountains where the weather can be pretty nasty, it was super as well. Now on with the birds. Other than the Painted Buntings I had no other “Life Bird”. All the birds seen I’ve seen before up here in Ohio or while on my previous visit to Hilton Head. Overall I ticked off 70 birds. Here’s a list of the birds seen. There was a small flock of 20 to 25 Marbled Godwits feeding just far enough away where you couldn’t get any closeup pictures. During high tide small slips of sand became jammed with hundreds of birds. Sorting through this many, and picking out each species was a challenge. The larger birds would block all the smaller birds that were feeding so picking them out of the crowd proved difficult. 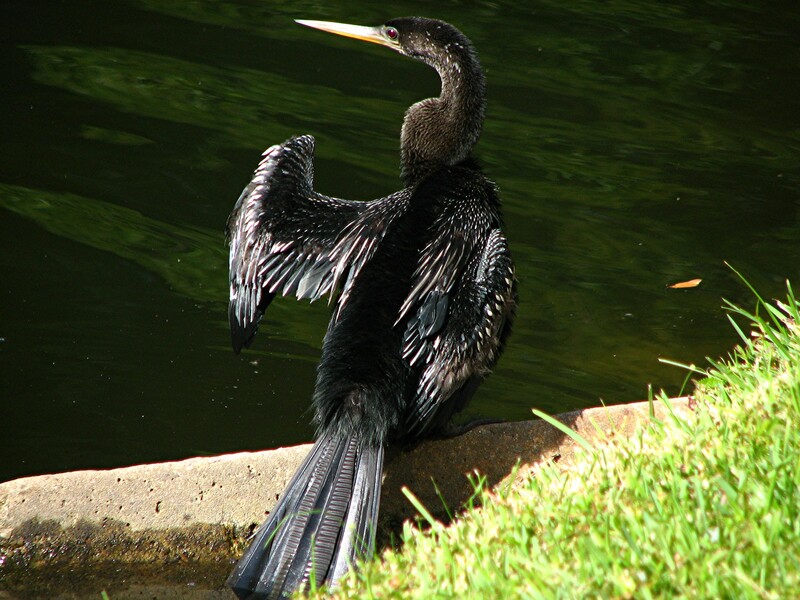 There was this one Anhinga that would always hang out in the lagoon that was located at the hotel we stayed at. 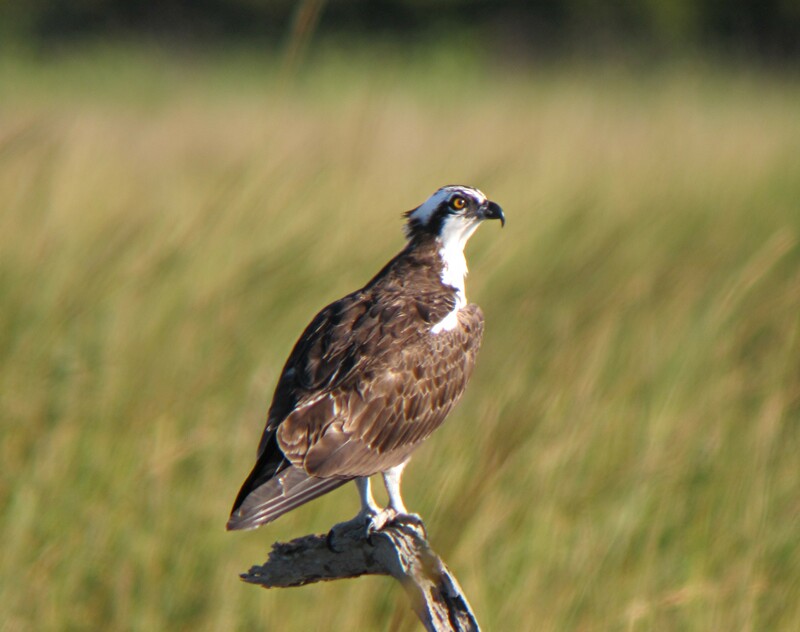 Osprey was the most common Raptor. I really had to sneak up on this one. 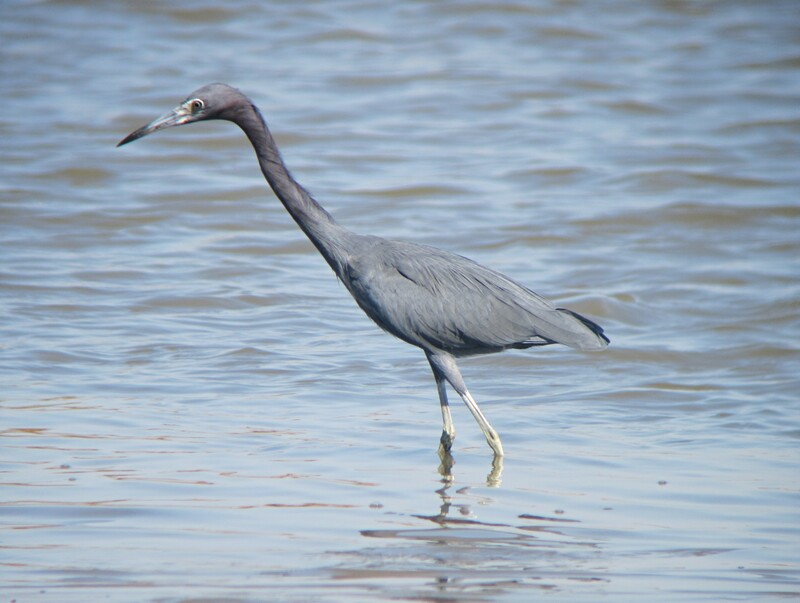 I followed this Little Blue Heron for about an hour trying to get the best shot with the sun behind my back. The bird finally moved out to open water where I was able to get this pretty good photo. A little further away, but a touch clearer. 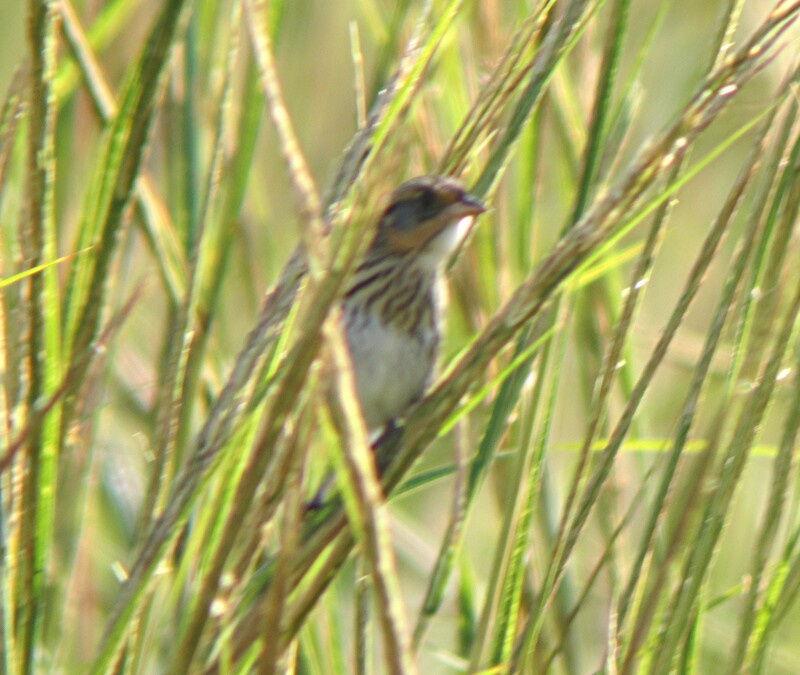 These pictures of the Saltmarsh Sparrows are heavily cropped, so the quality is pretty bad however you are able to pick out the field markings that ID’d these birds. 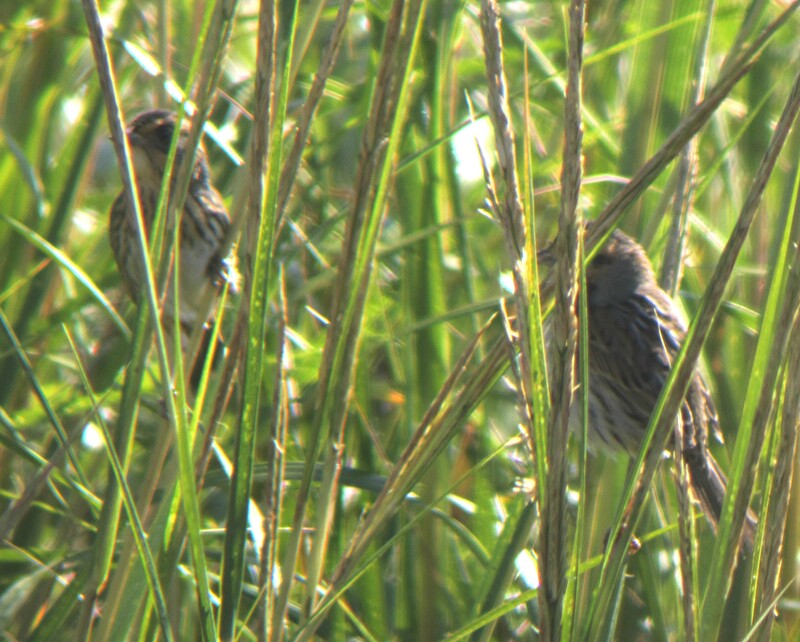 There was a total of 3 Saltmarsh Sparrows and I was able to get 2 in one shot. 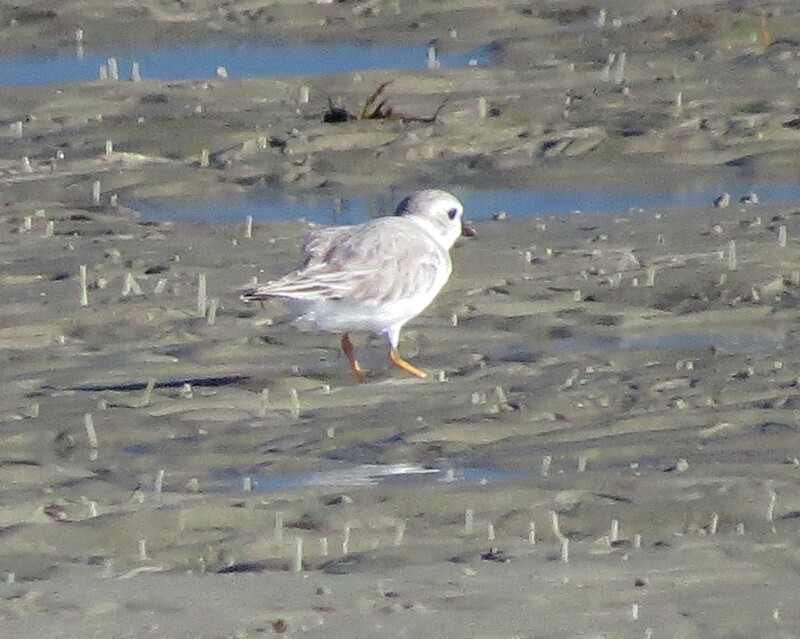 Note the heavier streaking and the buffy color on the breast. 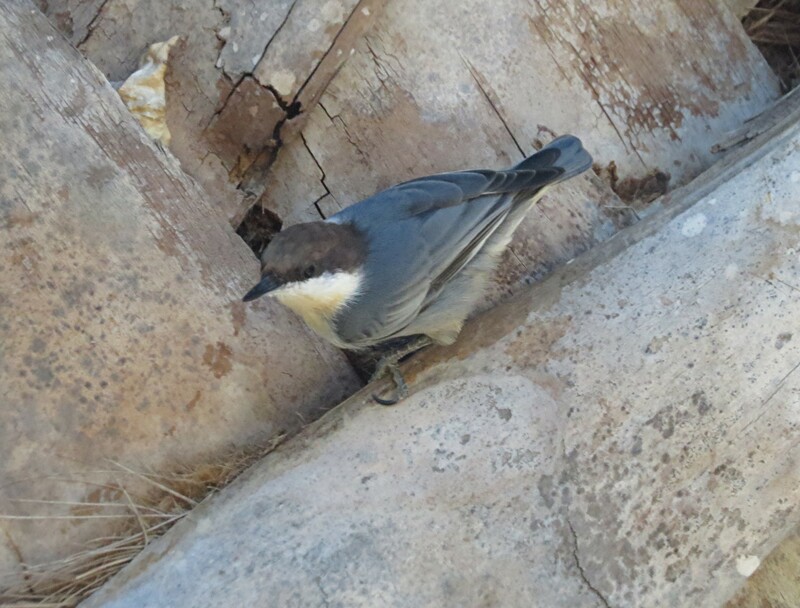 In this picture you can see the dark malar stripes that border the white throat. I stumbled upon these birds completely by accident. I was trying to get myself into better position as the tide was going out. I wanted to get a closer look at a large group of birds on this sand bar when the Sparrows flushed. Moving to get a better look I started to sink in the muck that makes up a Saltwater Marsh. I was sinking, my scope was sinking, and I was trying to “pish” these birds out into the open to get any kind of documented photograph. Trying to fine focus was the last thing on my mind at the time. 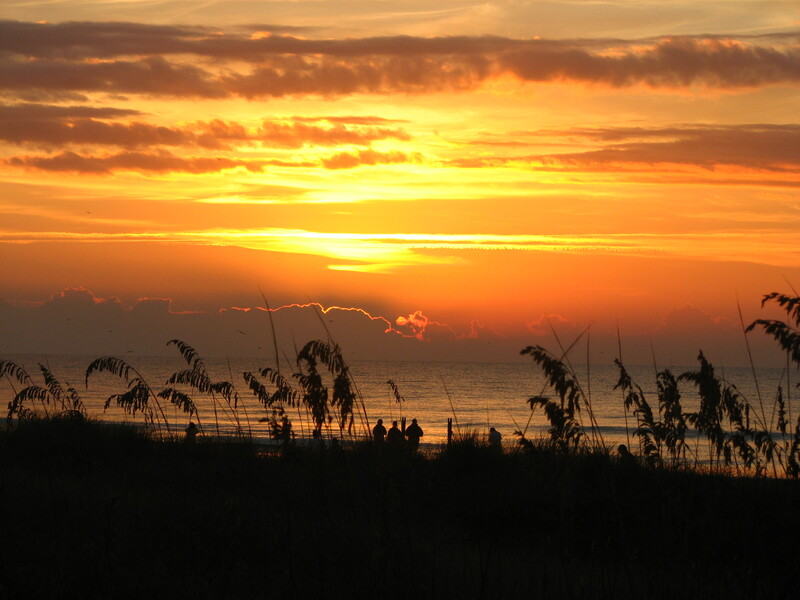 Already we’re talking about the next time we go down to Hilton Head. Maybe in the Spring in a few years. But in the mean time this was another memorable trip and I hope you enjoyed my posts. Hilton Head Island/ Pickney Island N.W.R./Savannah N.W.R. A much needed family vacation with a lot of birding mixed in. That’s what the doctor ordered, and who am I to argue with a doctor. Leaving at 4 am this will be the farthest I’ve traveled for an official “on the road” bird trip, and I’m so looking forward to it. The drive was uneventful as it took 12 hours to make it despite stopping for lunch, gas, and the regular pit-stops. The scenery through the mountains was nothing but spectacular as they were in their full Autumn splendor. 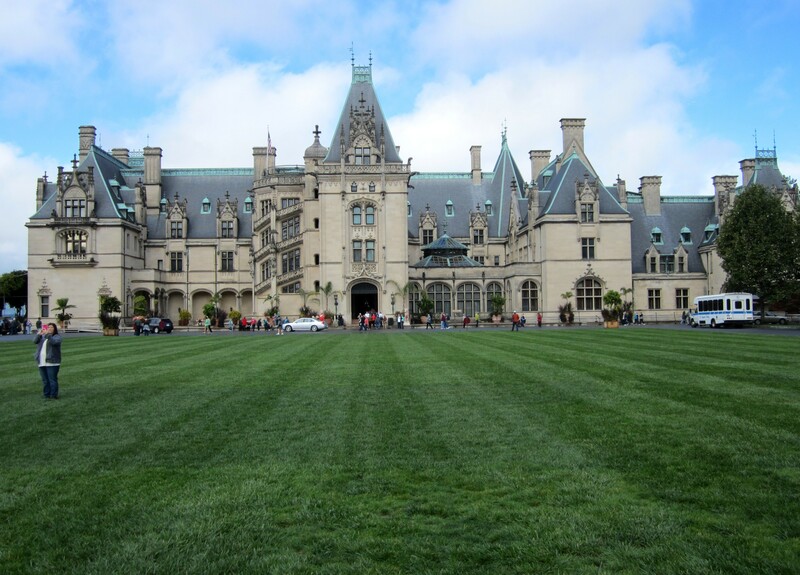 The stretch from Knoxville to Ashville to Spartanburg S.C. was a curvy, mountainous treat for the eyes. After arriving we had the customary unloading of the car, looking through our condo for the week (which was awesome) then paying our respects and saying hello to our host for the week, the Atlantic Ocean. Fish Haul Creek Park was my first destination for the week. 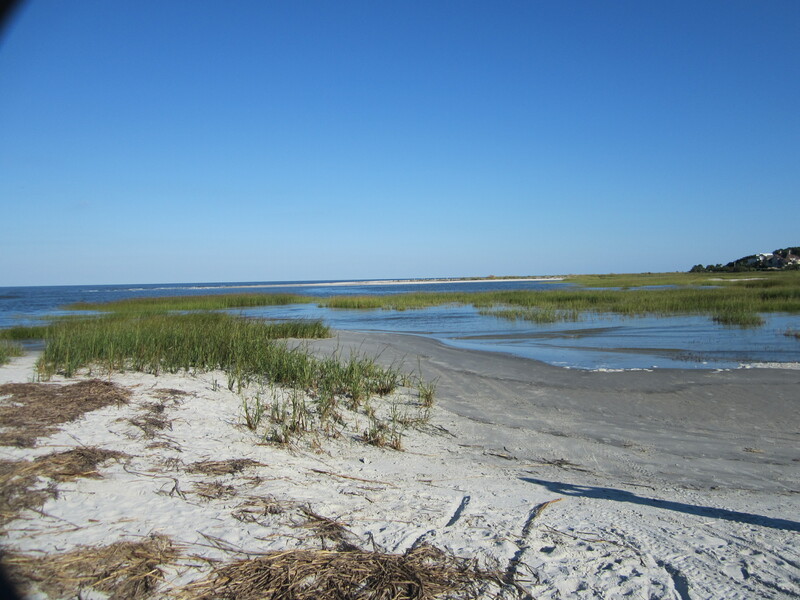 At the northern point of the island, this combination of coastal forest and salt marsh, borders the ocean. 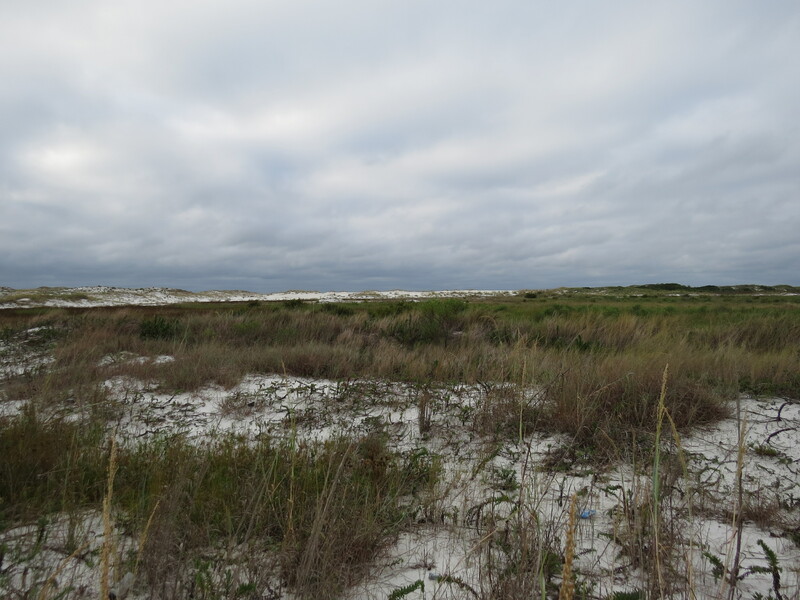 A gazebo was built out into the vast saltwater marsh. 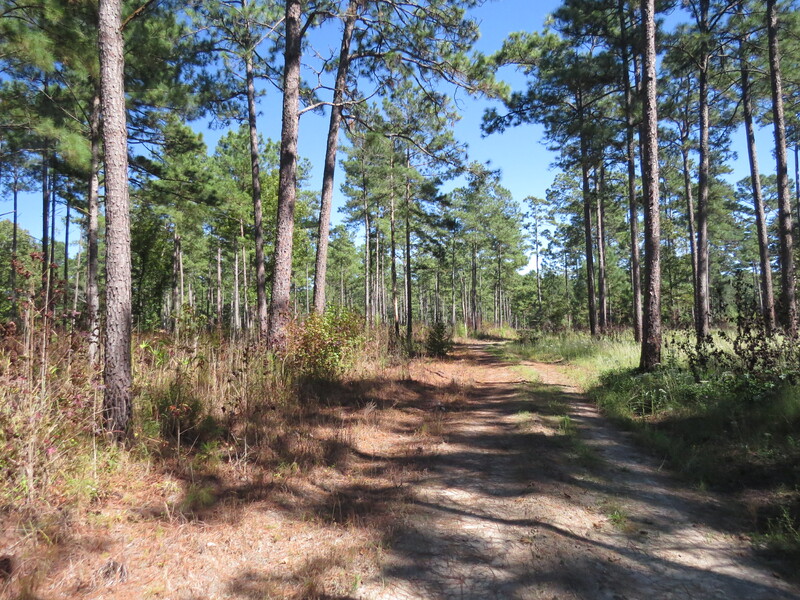 A nice wide trail meanders through the woods from a large parking lot, which includes restrooms and has security cameras mounted throughout the lot. This trail finally ends at the ocean, more or less, depending on the tides. At high tide all of the sand in the distance would be covered. A Great Blue Heron with some flat fish he just caught. There were birds everywhere! 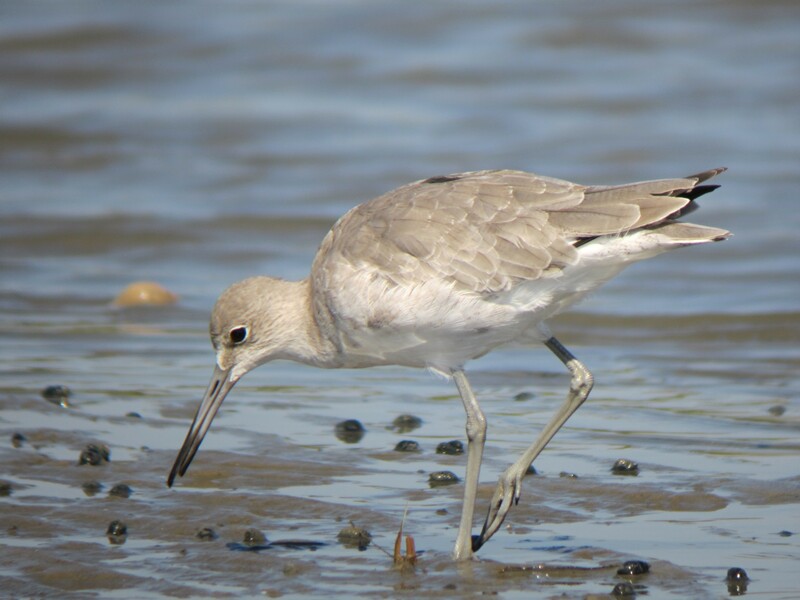 As the tide recedes, there area just opens up with exposed sand bars that attract birds from all over. And only 20 minutes from my condo. I found more life birds in this one area than I’ve ever found in anyplace else. That’s why I returned 2 more times after my initial visit. 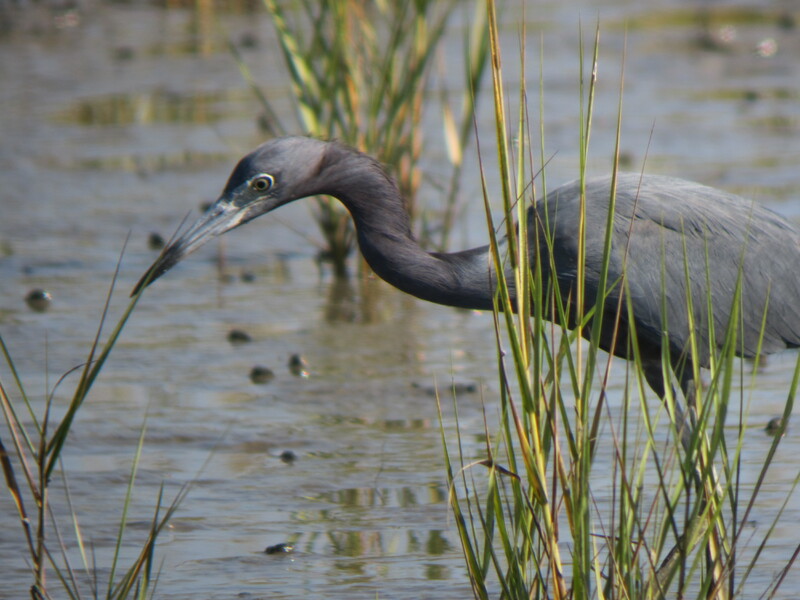 If you ever visit Hilton head, you have to do some birding here. I really recommend a spotting scope. At times it was difficult to get close to the birds, so using my scope was the best choice. Marbled Godwit wading as the tide goes out. With the sun behind my back I was able to catch this Great Blue Heron. There were plenty of Snowy Egrets. 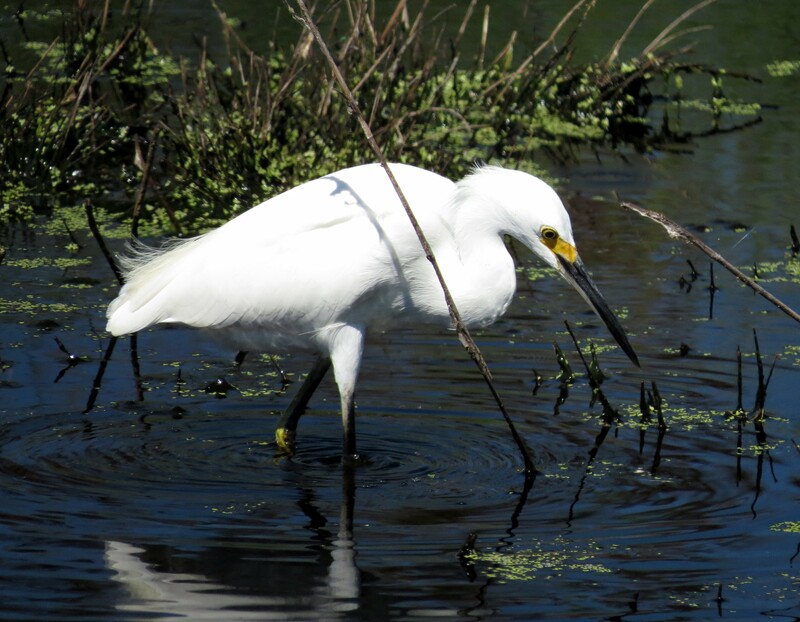 A Snowy Egret fishing in the surf. 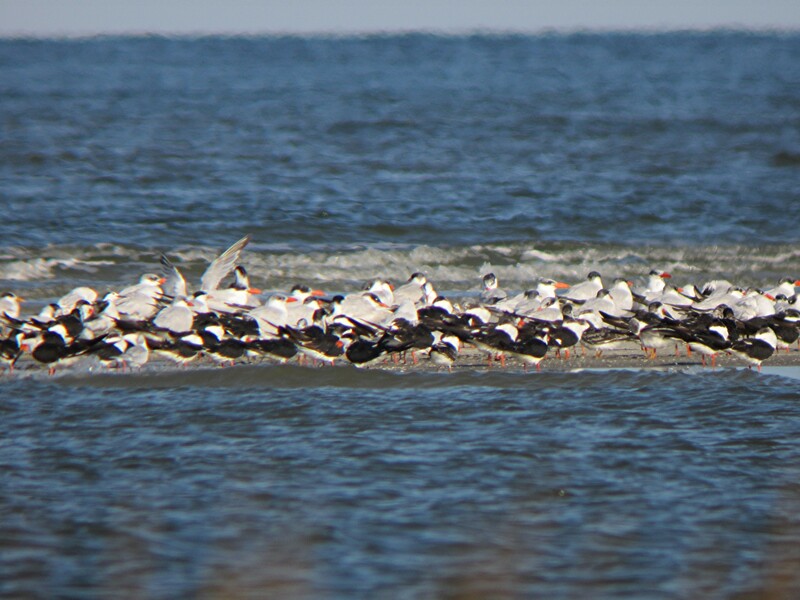 A variety of Gulls, Terns, Black Skimmers, and Marbled Godwits in the foreground. 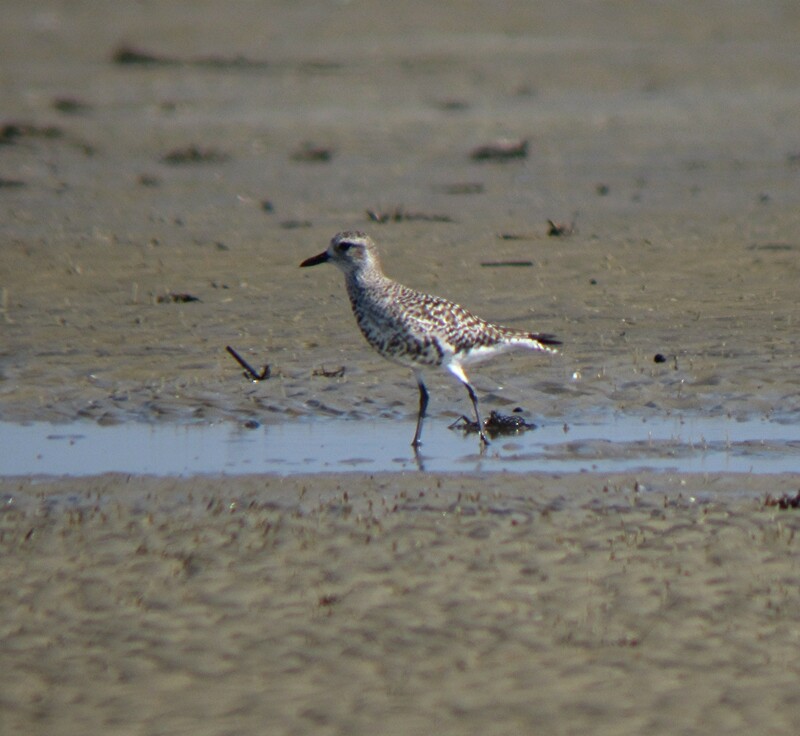 On one of my visits a dozen Western Sandpipers strolled by feeding. Marbled Godwits resting. 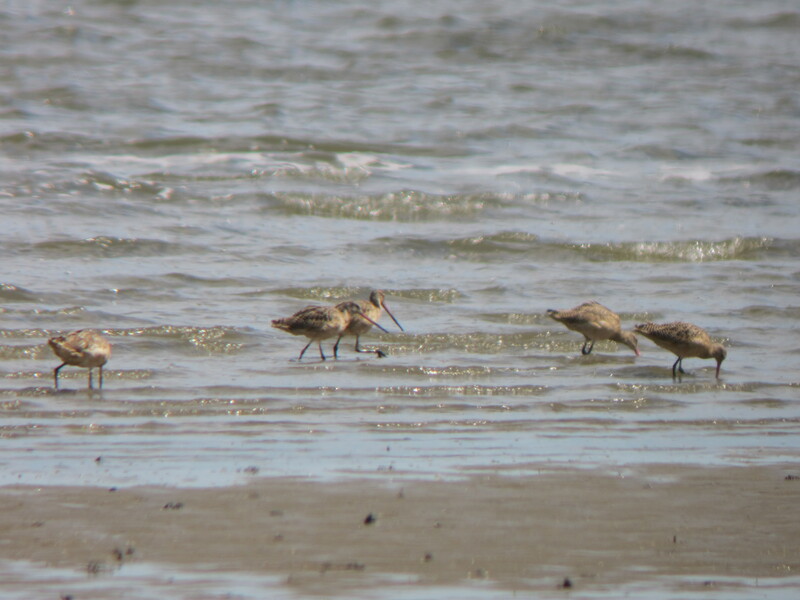 At one time there were at least 30 Godwits here. A Willet and a Ruddy Turnstone. 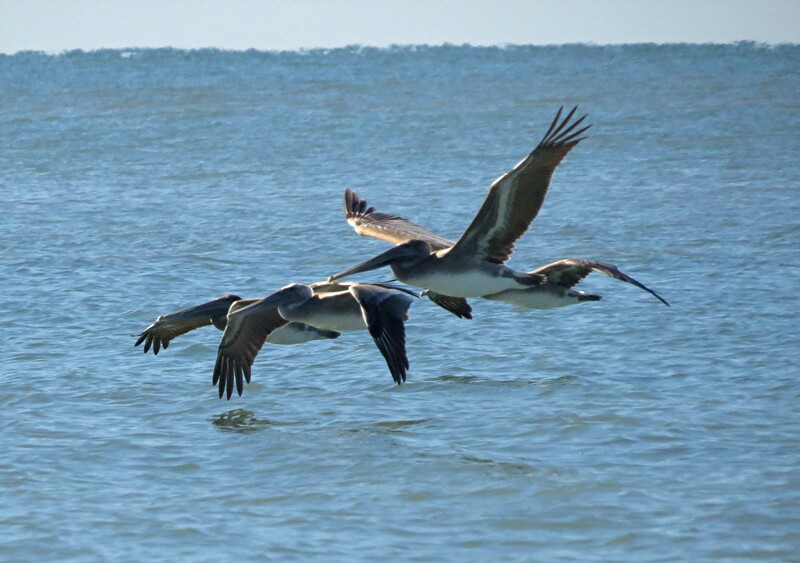 Notice the Black Skimmer to the left of the brown Pelican. 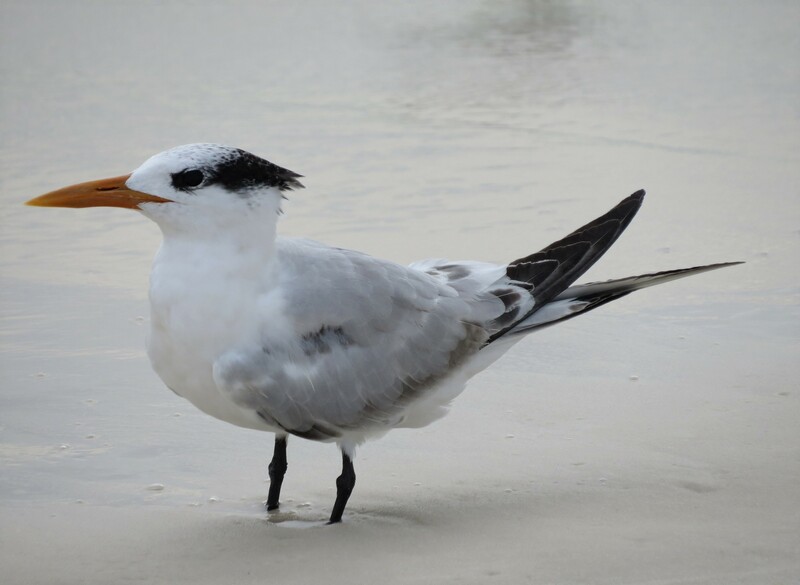 Instead of flying while it skims the water for food, it stood in one place and caught food while the tide moved the water through it’s bill. 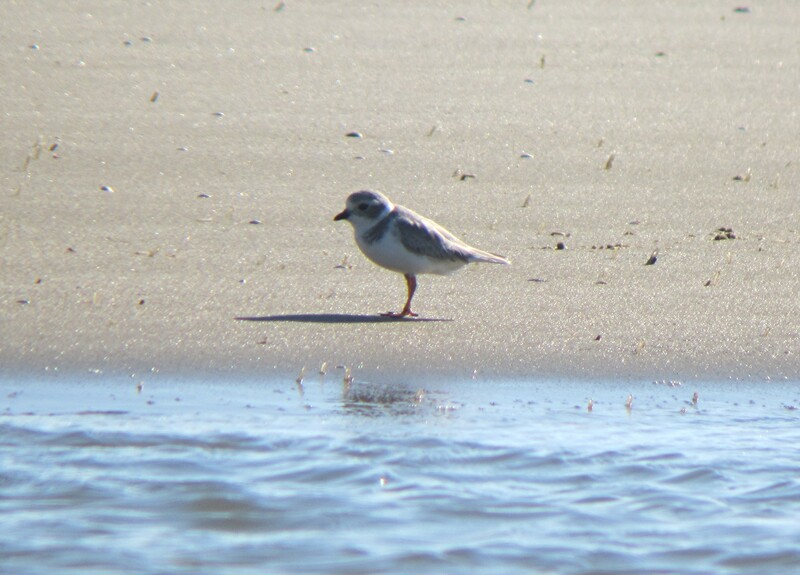 However the best bird I found at Fish Haul Creek Park was a Piping Plover. Rich, a birder I meet while down there had told me he saw one a week ago. So on my second visit there I was able to spot just one. 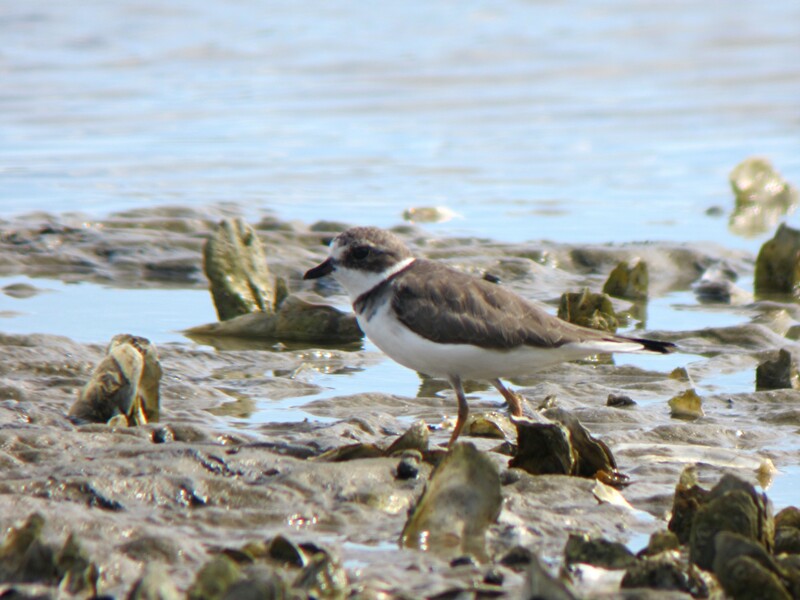 However on my third visit I was able to see 4 of these small plovers. 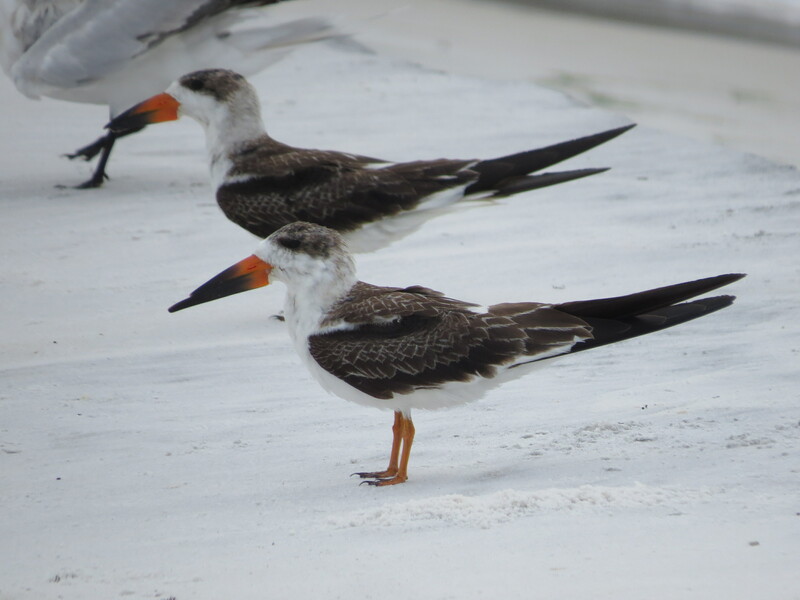 These pictures might not be the best, but the orange legs are a sure give-away. There’s 3 of them. 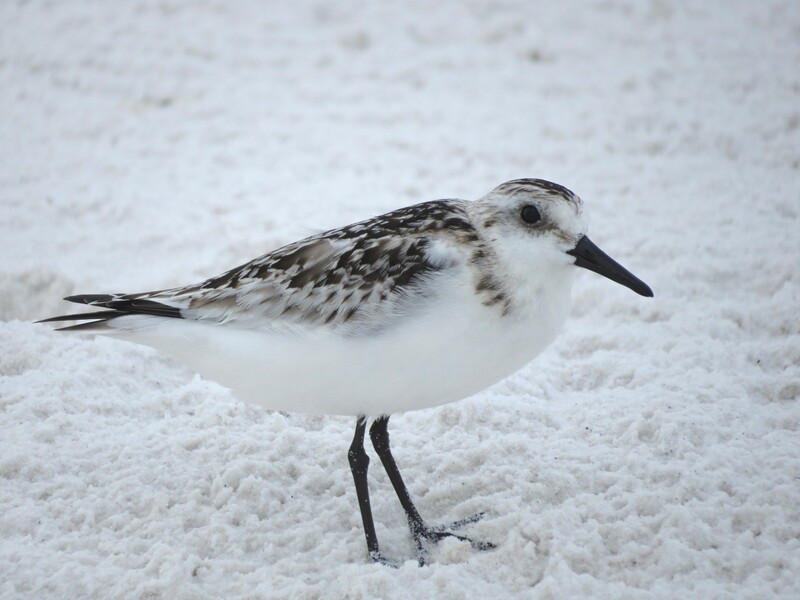 See how well they blend into the color of the sand. Zoomed in and heavily cropped, as are the next 2 photos. 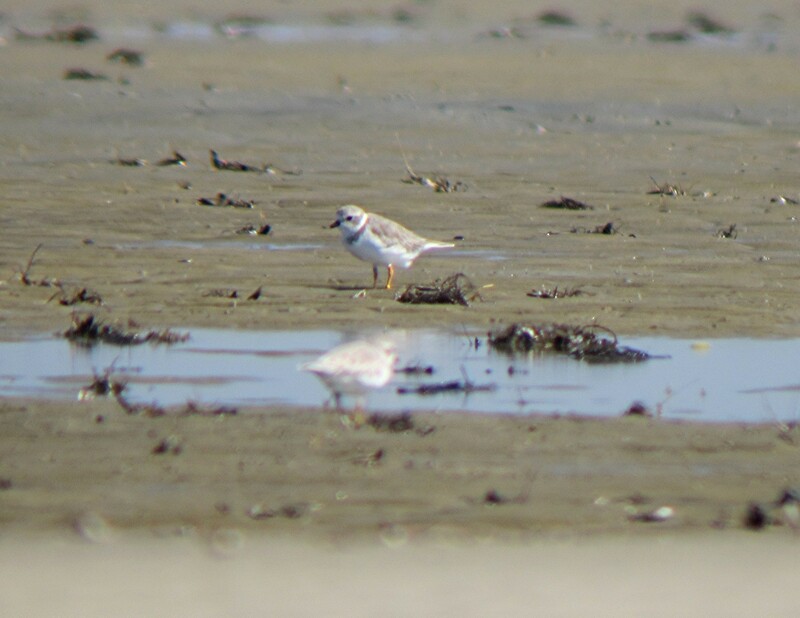 On my third visit to Fish Haul Creek I called Rich to let him know of my discovery of 4 Piping Plovers. As it turned out he was with a friend at Savannah National Wildlife Refuge doing some birding. Then he teased me by telling me that he’s spotted Glossy Ibis’s. So off I went for an hour drive to someplace I had no where it was, other than we passed the turn-off to the visitors center on our way to visit Savannah just the day before. However today Rich was at another part which you were able to drive. Being in a hurry makes the drive take so much longer than it really is, however I was able to find my way and find Rich as well. The sign at the beginning of the auto tour. Being strapped for time I couldn’t give this place justice. Which was a shame, because this place is vast with plenty of bird activity. The auto tour stretched for several miles and I know I probably exceeded the speed limit in my haste to find Rich. A pretty poor picture of a Glossy Ibis, but a new lifer for me. I also pick up a Purple Gallinule on my drive out, but he didn’t want his picture taken. This is my only shot of how the landscape looks for most of the refuge. These were once rice fields. At 29,00 acres, this place is immense. On my drive out I couldn’t help but notice that there’s more than just birds at this refuge. 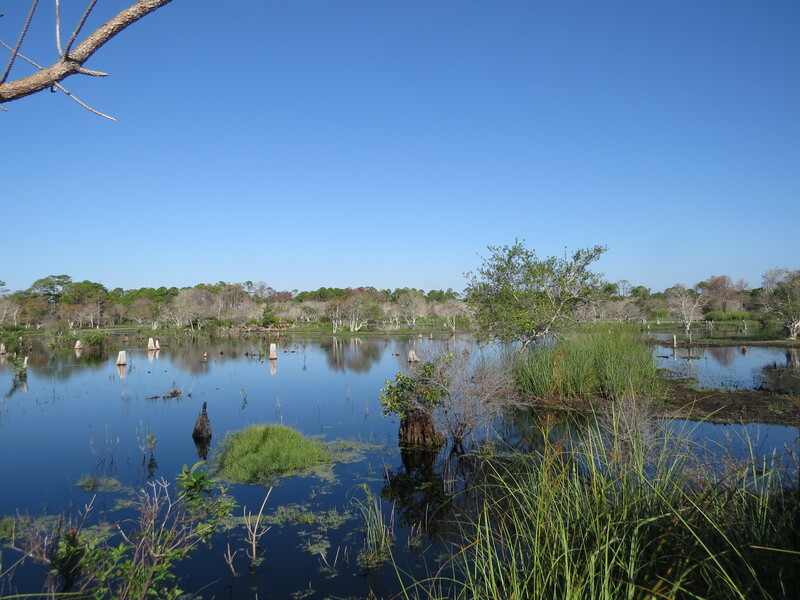 One of the places I was looking forward to visiting was Pickney Island National Wildlife Refuge. On the bridge that connects the main land to Hilton Head, it’s just a left hand turn as you approach the island. It was here that I meet up with my new friend, Rich Methany and some members of the Sun City Bird Club for a morning of some low country birding. Sun rise over Pickney Island. The group meet in the parking lot, then headed out on foot towards Ibis Pond. This is what surrounded the island. As we made our way towards Ibis Pond, we shared stories and experiences while picking up some good birds for the day. 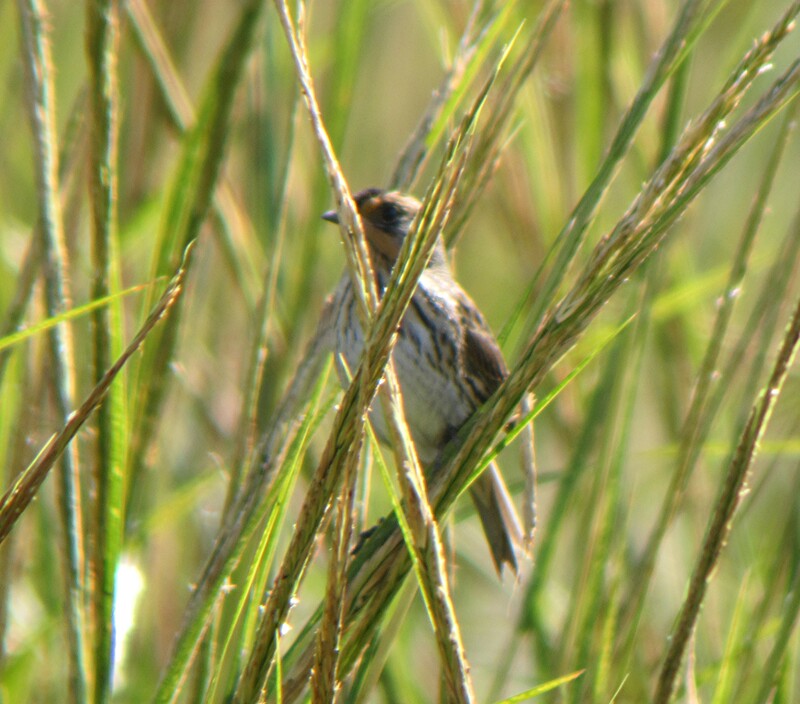 Yellow-rumped Warblers had arrived in full force with hundreds of them all along our hike. 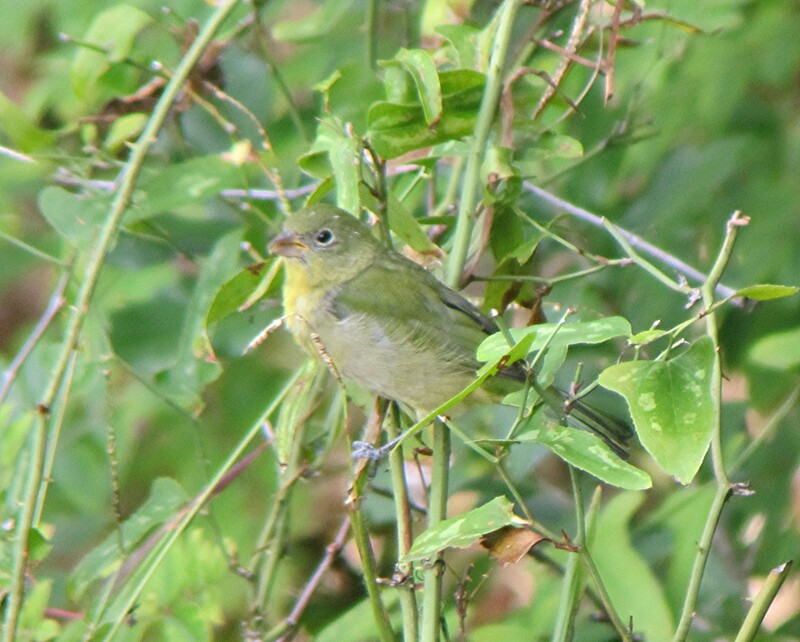 We also picked up a Nashville Warbler and a Northern Parula. Arriving at Ibis Pond we were greeted with Moorhens calling real loud. Besides the adults, there were young as well making such a racket you could hear it from a long ways away. 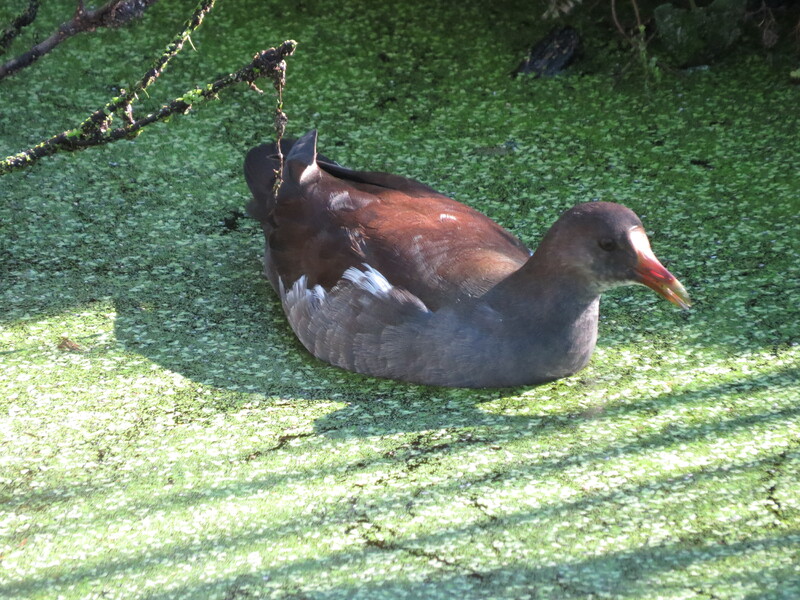 They weren’t keen on posing for pictures, so this is the best I could do for a Moorhen. An immature Yellow-crowned Night Heron who liked having his picture taken. I left Pickney Island with more life birds and some great memories, as well as some new friends who I’m sure to meet again. To sum up this trip in just a few words wouldn’t do it any justice. And the pictures I posted are just a few of all the pictures of birds I took. 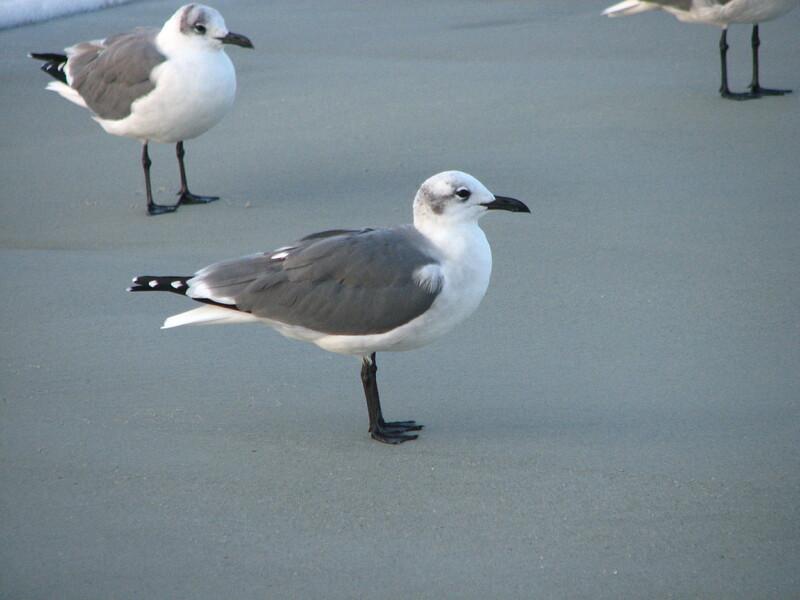 I will post all bird pictures on my “flickr” page. I had a great time and plans are in the works for a return visit. 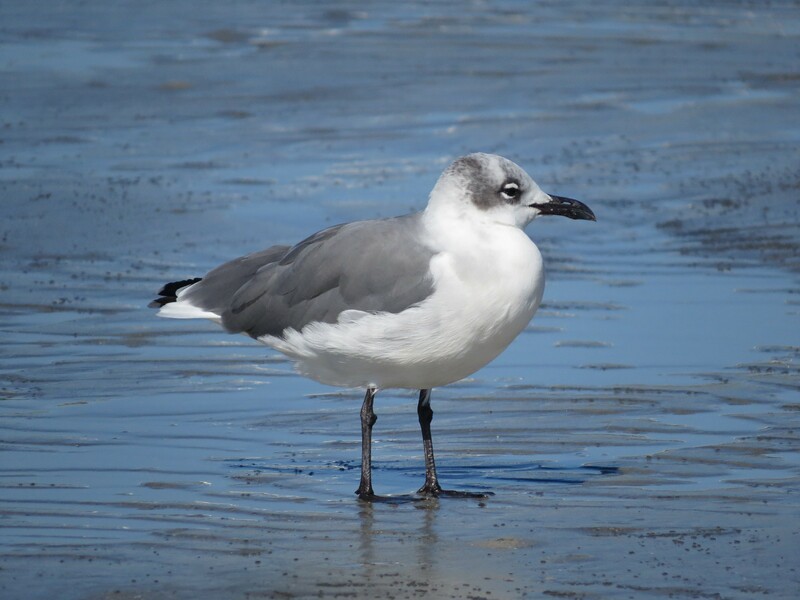 Tagged Bird Watching, Birding, Fish Haul Creek Park, Hilton Head Island, Pickney Island N.W.R., Savannah N.W.R. Greeting from sunny Hilton Head, South Carolina. As you can probably tell I’ve been a busy birder this last day and a half. I’ve been very anxious about this trip and the possibility to get skunked and not reaching my 300th bird was ever present in my mind. However that was squelched on my first day. Just doing a little birding around the condo and the walkway to the beach netted me 2 new life birds, Brown-headed Nuthatch and the Clapper Rail. That is a total of 4 Rails this year alone. This morning I traveled over to Fish Haul Creek Park, from what I understand, is a prime hotspot on the island. 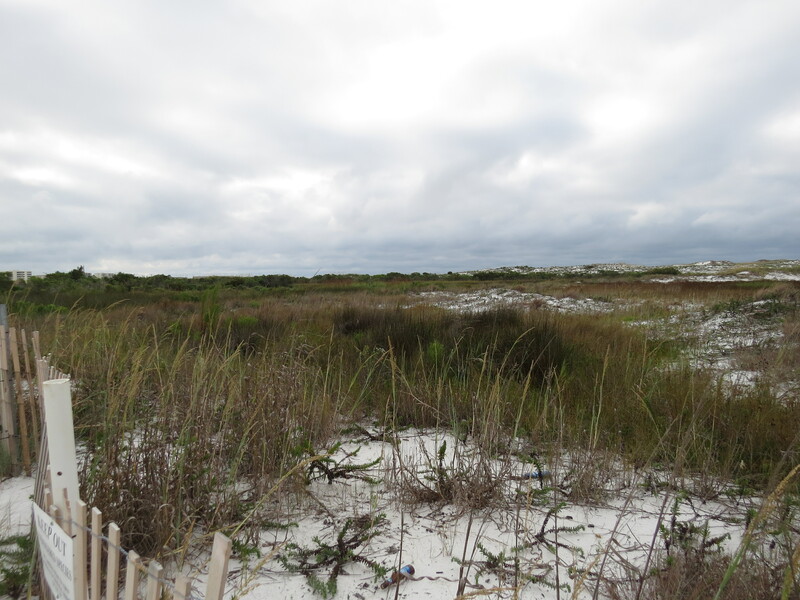 A beautiful park with coastal woods, a vast expanse of wetlands, and the ocean with some nice beach vegetation, and at low tide some great sandbars. The birding was spectacular! 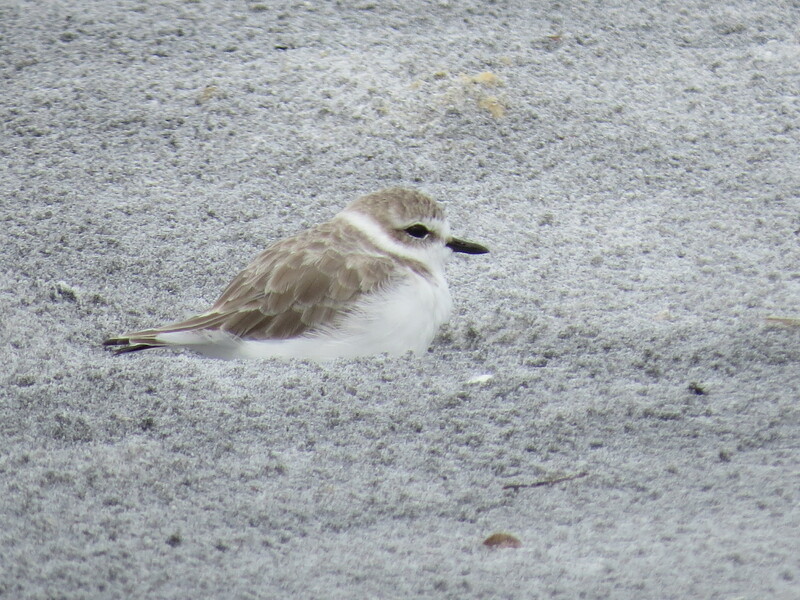 The highlights from this trip was of course my new life birds, which include Royal Tern, Gull-billed Tern, Marbled Godwit, Ruddy Turnstone, and Saltmarsh Sharp-tailed Sparrow. What a great day, mucking over the wet sand an scanning the sandbars with my tripod sinking into the sand. 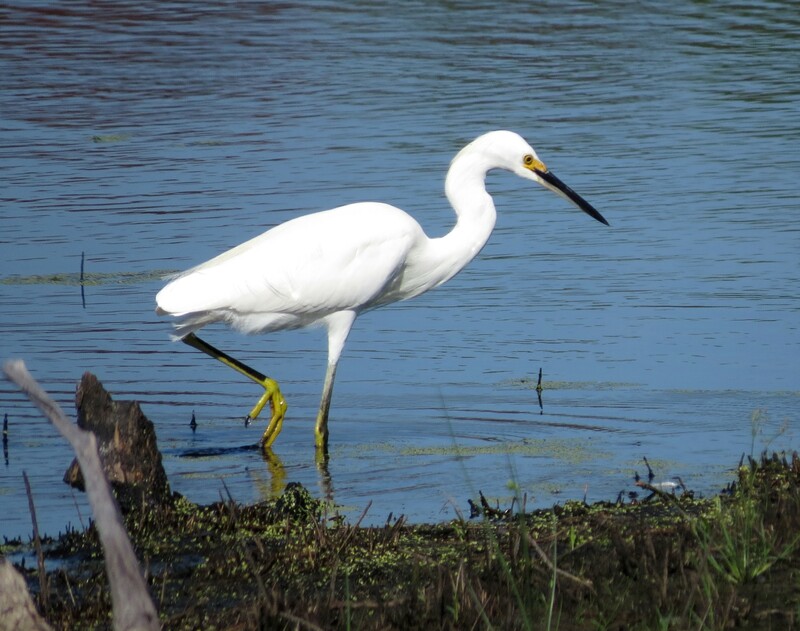 Tomorrow takes me to Pickney National Wildlife Refuge with the Sun City Bird Club. So stay tuned for more birding excitement.